A Podcast Of Unnecessary Detail comes from Festival of the Spoken Nerd: Matt Parker (Standup Mathematician), Steve Mould (Experiments Maestro) and Helen Arney (Geek Songstress). In between making science comedy shows, they investigate curious things that might not seem particularly interesting on the surface, but become fascinating when you get down to the nitty and / or gritty. 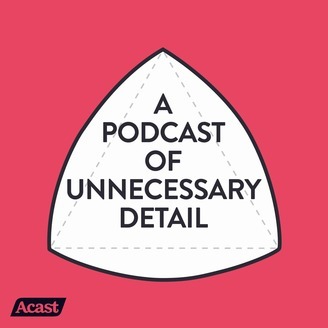 This podcast is where they share the best ones with you. Each episode also sees the Nerds joined by a special guest with their own “facts to grind”, and the best answers from our Overly Specific Audience Question (TM) sent in by you, our Overly Specific Audience (TM). More information is available at http://www.festivalofthespokennerd.com/podcast, or search on twitter @FOTSN for posts about #APOUD. A Podcast Of Unnecessary Detail from Festival of the Spoken Nerd: Matt Parker (Standup Mathematician), Steve Mould (Experiments Maestro) and Helen Arney (Geek Songstress). In between making science comedy shows, they investigate curious things that might not seem particularly interesting on the surface, but become fascinating when you get down to the nitty and / or gritty. 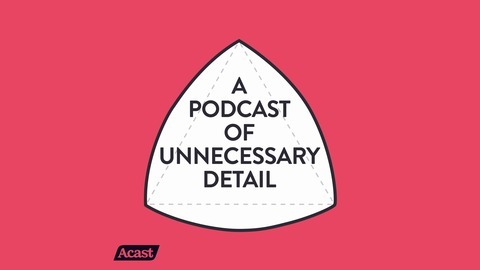 This podcast is where they share the best ones with you. Each episode also sees the Nerds joined by a special guest with their own “facts to grind”, and the best answers from our Overly Specific Audience Question (TM) sent in by you, our Overly Specific Audience (TM). More information is available at http://www.festivalofthespokennerd.com/podcast, or search on twitter @FOTSN for posts about #APOUD.